Many schools in Tanzania are in a state of disrepair, simply due to a lack of investment from above. This is why schools must generate their own income if they are to sustain themselves into the future. We work with each school to identify the resources they have available to generate an income. In many cases, their main resource is land - which can be turned into farms for market gardens and rearing livestock. 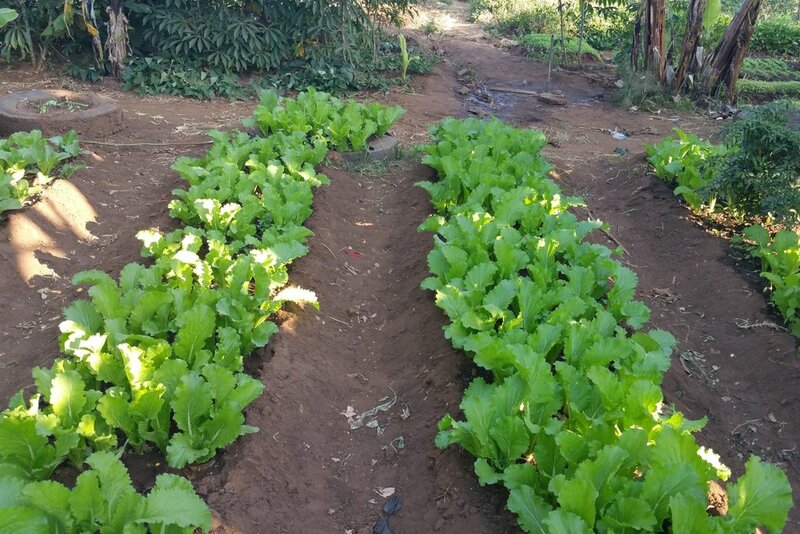 The profits from the farm can then cover water and electricity costs, with any surplus going towards school running and maintenance costs. Our Community Agricultural Support Officers work with schools to establish a market garden, growing a delicious range of vegetables to sell to the local community. These might include tomatoes, aubergines, okra, ngogwe, carrots, onions, peppers, cucumbers, Chinese leaf, mnafu, sukumaweki, mchicha, and beans. Our partner schools have planted fruit trees on the understanding that some fruit is for sale, while others are for "pick and run" (meaning the kids can pinch them - and do themselves good in the process!). To date, schools have grown an exciting variety of fruit, including bananas, mangoes, avocados, papaya, oranges, guava, passion fruit and 'fanta passion' - a passion fruit the size of a rugby ball! If a school has a number of high-quality cows with access to a good diet, milk can be one of the greatest income generators. On average, a cow can produce 6-10 litres a day, all of which can be sold to the community and raise essential funds for the school. As a chicken can produce around 20 eggs per month, eggs are a good and easy income stream for schools. Although the transportation of eggs poses more of a challenge than fruit or vegetables, a flock of chickens can prove extremely profitable for a school - and provide the local community with highly nutritious eggs.